This book is not for the home cook. Written by the son of Bob Marley, Rohan Marley, a coffee farmer, and Max Hardy, a personal chef to celebrities, most of the recipes included would fall outside of the skills and budgets of the average person. The dishes sound wonderful and the food photos are gorgeous, though there are a few too many of people cooking, which provide no additional information as such shots would in video. Chapters are paired with specific types of coffee. “Breakfasts and ‘Morning Nibbles'” almost seem misnamed as the recipes all require extensive preparation and include saltfish, ribeye, and dumplings, along with waffles and hash. “Vegetarian Fare” offers mostly side dishes. 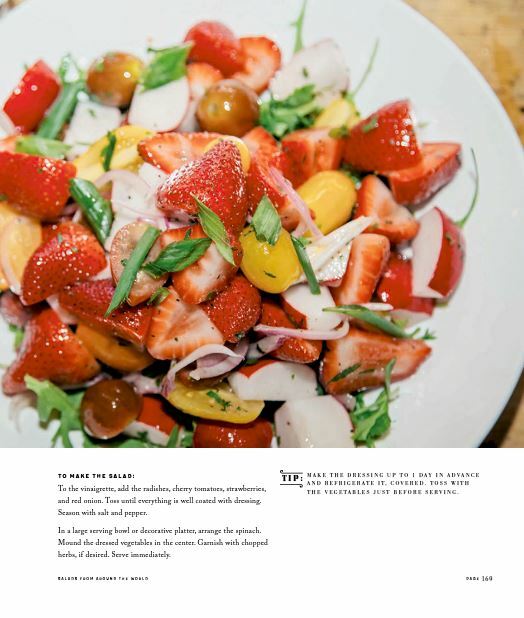 As they often are in cookbooks, salads seem an afterthought. Apart from Radish/Strawberry and Mango/Black Bean/Avocado, the section is filled out with Chinese Chicken, Watermelon, and Indian Couscous salads. This afterthought treatment benefits the dessert chapter, however. Quick breads, bread puddings, oatmeal cookies, brownies, and pecan pie easily make this chapter the most accessible to the average cook. In fact, the most accessible recipes come at the beginning and end of the book. 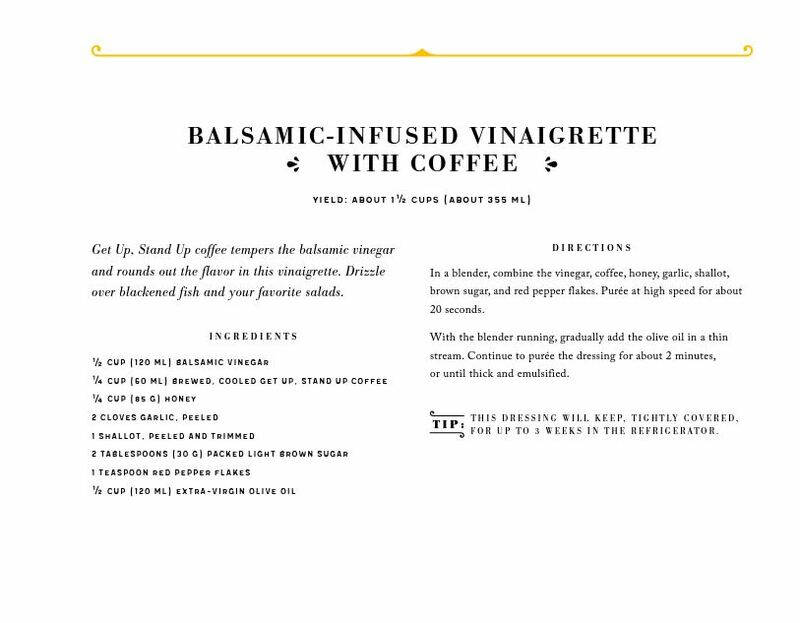 Spices, sauces, and dressings infused with coffee are simple recipes that can be added to any dish. Overall, this book is recommended for browsing or seeking ideas that can add simple flavor to everyday meals.